For someone struggling with weight loss, ectomorph body type is a dream. Blessed with a small bone size, long limbs, ectomorphs scarcely put on weight, as they have a super-efficient metabolism that burns extra calories without a fuss. However, there is a twist in the story, when they pursue bodybuilding dreams. Building muscle for the hardgainers is difficult, as their super-efficient metabolism works against them, but with a plan, in place, they can overcome the challenges. As compared to mesomorphs and endomorphs, hardgainers have to struggle at each step of bodybuilding. Should they give up the pursuit of muscles? 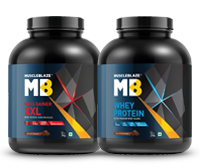 Of course not, MuscleBlaze has a plan in place for hardgainer muscle building, which will help the thin and lanky guys make friends with their active metabolism to build muscles. Muscle building for hardgainers, like any other body type, will revolve around the three parameters of eating, sleeping and exercising right. You will require the strength to push the limits and train harder, along with eating clean. In order to gain muscles ectomorphs or hardgainers should remain in a calorie surplus situation, avoid cardio and emphasize on protein and fat intake. 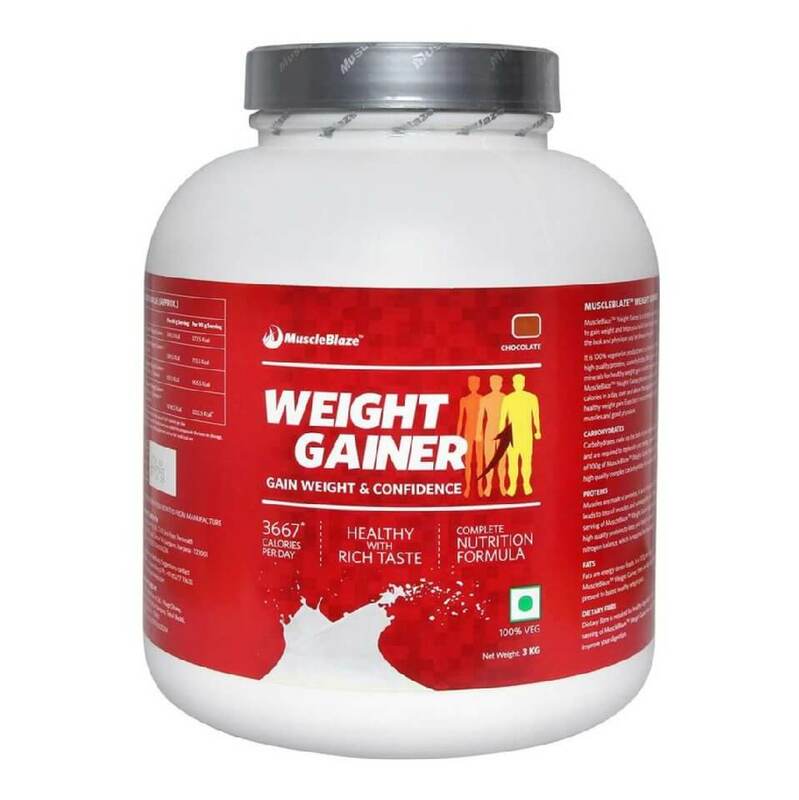 A high-quality mass gainer enables them to easily get enough calories along with quality nutrients. In order to qualify as a hardgainer, you must have trained regularly for 6 months without any noticeable change. Life is difficult for such people because they continue to train month after month, without any result. When ectomorphs include progressive overload to train their muscles, they challenge muscle fibers to grow gradually so that they adapt to the exposed stress, recover from the effect and grow stronger. When the muscles grow bigger and firmer, they are challenged with increased weights during the resistance training. The key word here is gradual. The whole process works to adapt the body to the challenges rather than pushing it through the heaviest set in one go because then the body will be unable to adapt. Training for a hardgainer involves choosing heavier weights vis-à-vis lighter weights. You should keep your reps in the range of 5-10. 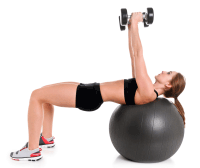 To build muscles, you've to tackle heavier weights eventually, but it has to be done gradually. Ectomorphs need to go slow because if they are pushed with heavy weights right from the start, their body will not adapt to the stress accordingly. Hence they need to start with lower weights but more volume. This will enable their body to grow in the muscle size. As their body adapts, they can move to heavier weights. For them, the rep range remains 5-10, but not the stocky sets of 5-5-5 or 10-10-10 rather, pyramid style, 8-5-3 so that they do not overwork their muscles. What's the best workout for a hardgainer? In the ectomorph bodybuilding routine, compound lifts are more important than isolation exercises, like dumbbell curls. Do compound lifts, as these exercises use of more than one major muscle group at a time, whereas isolation exercises engage only one muscle group. Since compound exercise recruits a larger muscle group primarily and smaller muscle groups secondarily during lifts, it boosts production of testosterone hormone. The best exercises for you are squats, deadlifts, pull-ups, dips, rows, bench press. Cardio is to enhance fat burn, but the ectomorphs need not worry about it because it's least of their concern. Therefore, hard gainers can safely avoid cardio. While workout is just one aspect of building muscles, nutrition is another more significant aspect. A diet error takes you two steps backward in muscle building. Nutrition for ectomorphs requires to stay in a calorie surplus situation. Ideally, 500 calories and above is a good target. In a week it will result in a pound (0.453g) of weight gain, but the problem with most ectomorphs is that their superfast metabolism will burn this surplus quickly. Daily you should consume 60 to 80g of complex carbohydrates at every meal. You should understand that adding fast food, processed food as sources of carbohydrates would not be the correct idea. You can get a healthy option by choosing low-glycemic, high-fiber carbohydrates instead of moving towards junk food. Good sources of muscle building carbohydrates are beans, oatmeal, potatoes, pasta, barley, whole-grains. Carbohydrates not only provide you energy but also pump your muscles, somewhat similar to creatine. It's critical to maintain your testosterone levels. Aim to get a good helping of saturated, monounsaturated and polyunsaturated fats, as they are critical for maintaining a healthy testosterone level. 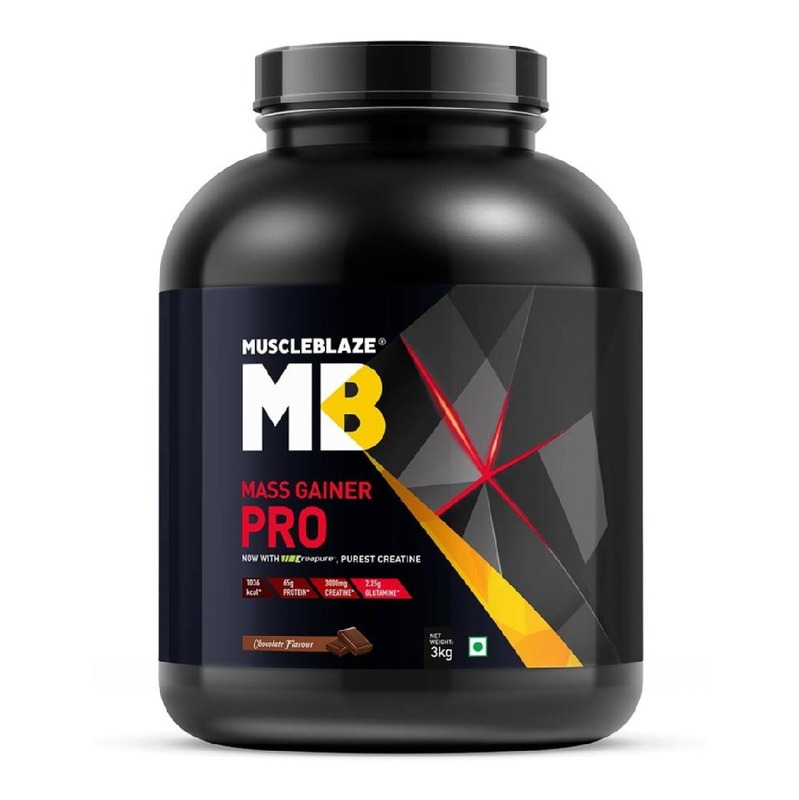 Mass gainer is a must have supplement for a hardgainer, as it enables you to get premium nutrition without much fuss. All you need to do is to mix powder and water together, to get in a calorie-surplus situation. Most importantly, it provides you measured calories, so you know exactly, how much extra you are having in a day. 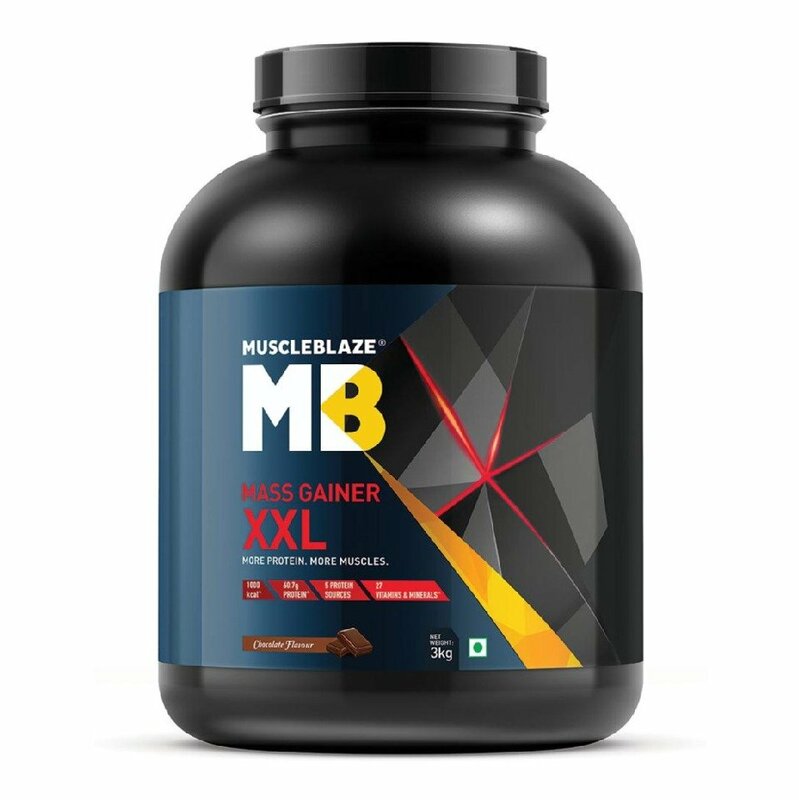 Get quality nutrition with MuscleBlaze Mass Gainer XXL and meet your calorie needs. Start slow and give your body time to adjust to extra calories. You do not want to jolt your body by doubling your calorie intake. Most probably, your body will refuse to absorb the additional foods and you too will get tired during the process. Go slow and steady, because bodybuilding requires patience and perseverance.